There are many different uses for acrylic cosmetic jars, which makes them very versatile and great for many types of businesses. They also come in a variety of sizes and styles, so there is something out there for everyone. Before purchasing these it’s important to look at all options, as this will ensure the right choice is made. These jars come in many different shapes so buyers can take advantage of what is best for their product. The shapes include: round, oval, UFO, square, ladder, diamond and rectangular. Each of these can hold a number of different creams and vary in colors, as some are clear while others are solid colors. Most jars that are purchased are round, but many other options are out there for those who desire something other than round. 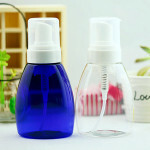 Most acrylic jars for cosmetics are round or circular, but there are other shapes available that are great for various cosmetics. 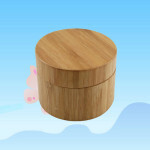 For example, there are square containers that have round lids on them. 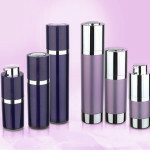 There are also cylinder shapes available that are generally used for lip balms other types of creamy cosmetics. Other shapes of containers include: rectangular, diamond, ladder and oval. Anyone who is looking for something unique may like the square containers that have cylinder tubes in the middle. These have above-average appearances and look especially great when they are filled with product. The capacities of these jars range from 10ml all the way up to 200ml, and all the numbers in between. Some containers will be wide while others will be taller, and that depends on the shape that is originally chosen. The majority of jars purchased are 15, 25 or 30ml containers, but other sizes are utilized as well. 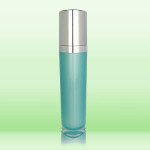 An example of a popular size is the 15ml UFO shaped acrylic jar, which is 56mm in diameter and 29.5mm in height. 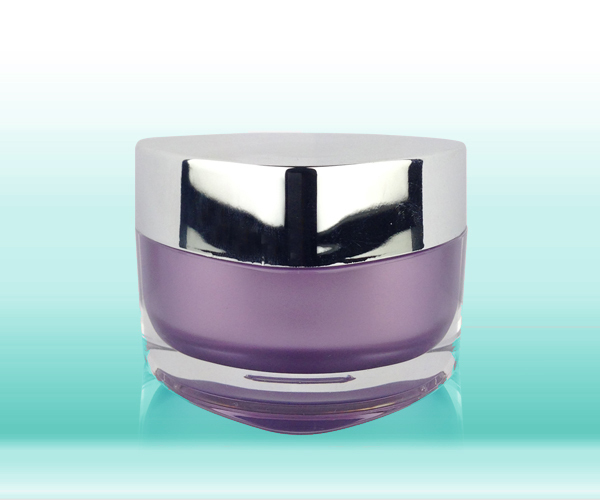 This can be compared to a 15ml circular acrylic jar, which is 62.5mm in diameter and 36mm in height. There are also inner jars that can be molded into the acrylic so that they take a different shape inside than they have on the outside. The sizes of these jars vary, which makes them perfect for holding a variety of different cosmetics. For example, smaller jars are generally great for things like cosmetic glitter, but larger jars are great for eye creams. 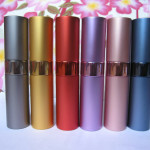 The different sizes available include 1ml – 20ml, 30ml – 50ml, 60ml – 100ml, 110ml – 150ml, 160ml – 200ml. There are sizes available in between each of these numbers, and the shapes available will differ for each size. Most manufacturers choose their jar size based on the cost of the material they are selling and the volume that they want to sell in each container. The closures for acrylic jars are normally plastic or aluminum and come in a variety of different colors. Most caps will match the jar, but some are made in simple solid colors. These easily twist on and off so that they stay secure and keep the cream inside safe without risk of it easily leaking out. Snap on closures are available, although they are not as popular as those that twist for a secure fit. Once the lid is off, the circular opening of the container will make it easy for users to slip their fingers inside. Some buyers prefer their jars to have finishes to change the appearance on the outside. The most common finishes that can be applied to acrylic include: metallization, spray painting, hot stamping and color injection. This can add customization to the jar or even the cap so that it’s ready to sell. Clear containers are among the most popular, but jars that have a frosted clear coat are rapidly increasing in popularity. There are also different colors of containers that include: silver, purple, blue, gold and many others. The lids for the containers may match the color of the jar, but that depends on the specific jar that is chosen. Most lids are solid black or white, as these are generally the most affordable. 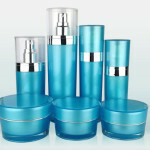 Face creams are commonly put in acrylic jars because they won’t leak through the containers and won’t stain them either. These creams will also stay in good condition in the containers because the tight seal at the top will keep the air out. 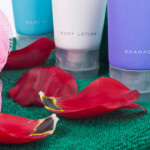 Other than face creams, these can also be used for hand creams, makeup remover, foundation, blush, perfume or a variety of other types of cosmetics. The jars are also difficult to break because of the material they are made out of, so they won’t crack or shatter like glass would. Acrylic is also very affordable and more lightweight than glass is. High quality acrylic is a great material to use for cosmetics because it’s durable, affordable and comes in so many different shapes and sizes. It’s much more versatile than glass and is lighter than it as well, so it’s less likely to break and is easier to distribute. The options for cosmetics that can be put into these containers are endless, and include eye cream, glitter, foundation, primer, cream/gel eyeliner, lipstick, lip balm, lip gloss, eye shadow, and blush. 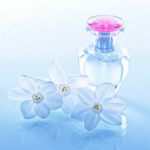 These are just some of the most popular cosmetics that are put into cosmetic jars made from acrylic. There are many other options for what can go inside of these, so the possibilities are endless. Each jar shape can have a number of uses, the only thing sellers will have to do is put on individual labels to differentiate each of the products. The labels can go on the top of the lid, but also on the side of the jar (if there is enough space). Other information, like the ingredients and manufacturer information, can go on a label that is stuck to the bottom of the jar, which keeps it easy to find but away from the direct line of eyesight.